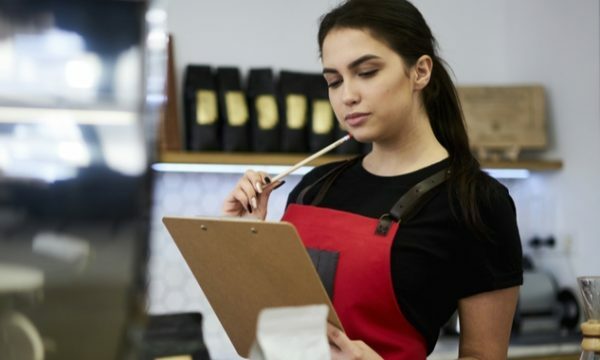 With STP now a requirement for all businesses and EOFY just around the corner, starting discussions about how your small business clients are managing payroll is a no-brainer. The Single Touch Payroll (STP) rollout continues. How accountants and bookkeepers broach the subject of payroll management software with their clients will have big repercussions for both parties. Debra Anderson, Founder of Anderson Tax & Consulting*, believes that STP is the ideal opportunity for many accountants and bookkeepers to revisit their clients’ payroll management processes. In doing so, advisors can add enormous value by teaching their clients the efficiencies available by moving away from traditional, manual processes. This is particularly true of ‘micro-businesses’ of four or less employees. “Many micro-businesses don’t use any computerised accounting systems – and in fact there’s a huge number of employers not using any payroll software,” said Anderson. Assistant Commissioner of Single Touch Payroll at the ATO, John Shepherd confirmed the large number of small businesses not using payroll software. “There are over 300,000 micro-employers who do not currently use payroll software and will most likely require the most help and support to transition to STP reporting,” said Shepherd. And they’ll require that help for the simple fact that there is no manual way to lodge STP. “These businesses need to go from using a manual system to a computerised system as, unlike the BAS/IAS, there is no manual process for lodging STP reports,” said Anderson. While the change may seem significant for those business owners who have yet to set up payroll software, there’s a huge opportunity for accountants and bookkeepers to demonstrate their value in advisory and take the bull by the horns when it comes to STP. For Anderson, the advisor’s relationship with their clients may dictate how this conversation gets started. “It’s only March and most tax returns aren’t due until mid-May, so small business owners may not have spoken to their tax professional since last April, or alternatively they may have already done their taxes and aren’t due to see their agent for another nine months,” said Anderson. Which means, if you’re only periodically talking to your clients, you should take the opportunity to proactively reach out and talk to them about STP and payroll services. In doing so, advisors will be able to lead their clients to a contemporary way of working that should also make the advisors’ lives easier in turn. “Just like GST brought many businesses into the computerised accounting world, STP has the potential to bring many micro-businesses into a bigger, better, more efficient, computerised world,” she said. And, as Shepherd points out, there are some obvious benefits that STP reporting brings all businesses. “Once an employer begins STP reporting, they will no longer need to provide payment summaries to their employees or lodge a Payment Summary Annual Report (PSAR) to us, which does away with some of those time-consuming, end-of-year processes,” said Shepherd. Beyond these benefits, the ATO also flags benefits to employees, as the new system will allow workers to view all their super and tax information via the online myGov portal. Being able to communicate the benefits of having such a system will alleviate client concerns regarding the (relatively minor) amount of effort and time it takes to get set up. Suddenly, the advisor is the herald of good news, rather than having to frame the discussion solely around regulatory compliance. “Most systems offer a range of services from emailing payslips, managing superannuation payments, leave entitlements, award rates and increases, overtime calculations and the onboarding of new staff, just to name a few,” said Anderson. After that initial conversation has been had, the next thing to do is decide which system they need and assist them in getting set up. For those businesses not currently using payroll software, built-for-purpose micro-business payroll solutions are beginning to arrive on the market, but the savvy advisor will likely present clients with more comprehensive alternatives. “MYOB Essentials Payroll, as an example of entry-level payroll software, is well-suited for clients with four or less employees today but is it enough?” asked Anderson. “This is the ideal opportunity to put them onto a comprehensive solution that will help them drive their business forward and reach their growth potential. *Debra Anderson’s comments as provided are her own and do not necessarily reflect the views of any affiliated group or organisation.